The Planning Committee of the Crooked Tree Village Reunion is please to inform you of the survey results. The last weekend in the month of May 2011, Memorial Day weekend, was selected as the most favorable time to have the second edition of the Crooked Tree Village Reunion. In preparation for this magnificent event, the Planning Committee, (US and Crooked Tree Village) will be providing you with more information in the months ahead. You will not want to miss this Reunion, this is the time when we honor our heritage, pay special tribute to our ancestors and re-connect with our loved ones. 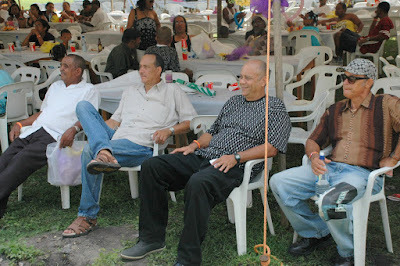 We look forward to your divine presence at The Crooked Tree Village Reunion 2011. When do you want us to have the 2011 reunion?